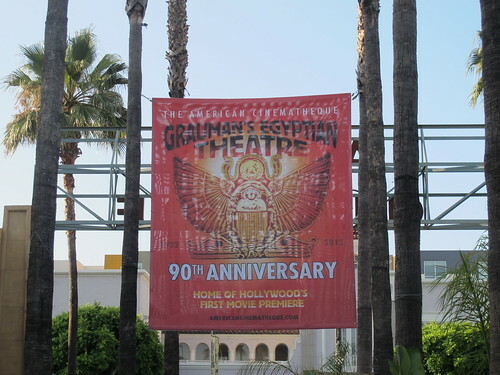 This weekend was the annual Tiki Night at Grauman’s Eygptian Theatre in Hollywood, a historic venue celebrating its 90th anniversary this year. There was barely more than a week’s notice to the public for this event, but it still had quite a good turnout. 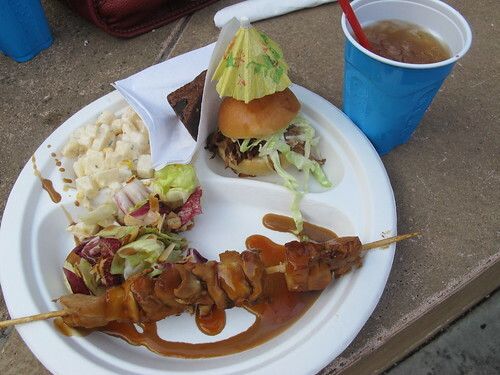 Neighboring restaurant Maui and Sons apparently catered the meal that included a skewer of teriyaki chicken that had a weird, powdery texture, bland mini pulled pork sandwich, potato salad, mandarin orange green salad with a tasty sesame vinaigrette, and half a brownie square. For $20 a plate, it paled in comparison to what they served a few years ago. Meanwhile, Maui and Sons was also offering $5 mai tais and pina coladas in little cups — not much of a deal considering the serving size. 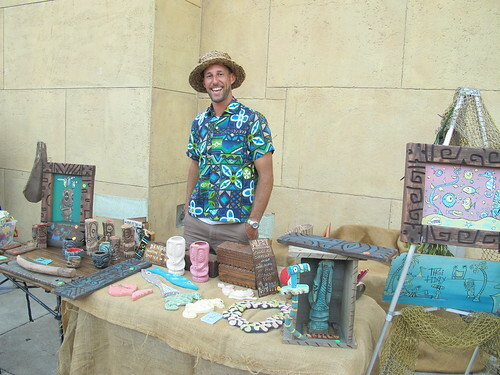 But it was easy to overlook those minor issues thanks to the festive atmosphere and tiki tunes provided again by King Kukulele and the Polynesian Paradise dancers (and impromptu little soloists). 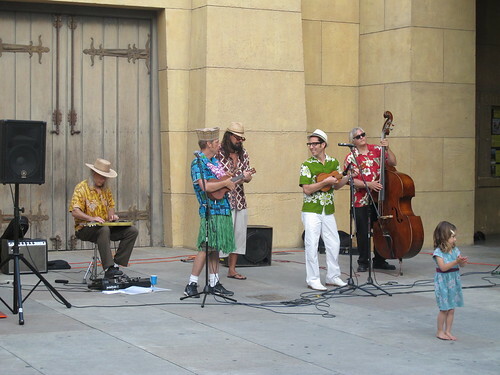 On a few numbers they were joined by Judd Finkelstein of The Maikai Gents on ukulele and Crazy Al contributing coconut percussion and exotica-style animal sounds. There will be another screening in San Diego at Tiki Oasis, but for the next few days you can purchase the DVD through PayPal. (Ordering info can be found at the bottom of this Tiki Central thread.) It really is a must-buy for anyone that’s into tiki. 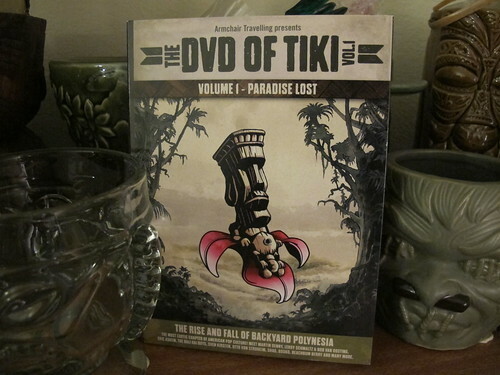 Plus if they raise enough funds, we’ll hopefully be able to look forward to the release of “Tiki Volume 2: Paradise Reloaded,” which will focus on today’s tiki scene with interviews from Shag, Sven Kirsten, Beachbum Berry, Kevin Kidney and many more. I’m really looking forward to getting a copy of this at Tiki Oasis. 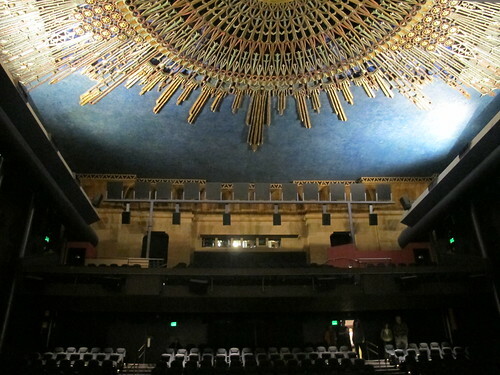 I’m glad they were able to see it to completion. Love it! No hints on the gut-wrenching scene? Did they burn tiki bars in effigy?